The bond guru says ECB and BOJ have kept the U.S. from recession. 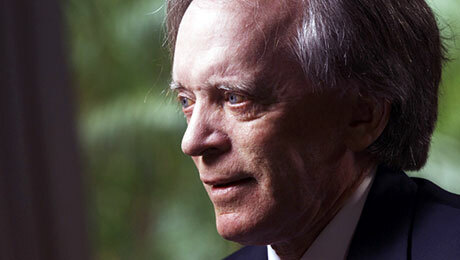 Only Bill Gross can go from a discussion of happiness to the causes of financial repression in a couple of paragraphs. In his February Investment Outlook, Gross riffs on what makes a person happy and whether higher goals, such as service to others, should really be the objective. The legendary bond manager writes that he is particularly captivated by a song line from the quirky 1960s folk singer Donovan: "Happiness runs in a circular motion ... happiness runs ... happiness runs." Although Gross writes about the existential meanings embedded in Donovan's line about happiness, he says the line more importantly reminds him of history repeating itself, particularly financial history. Apparently, Gross saved two notes to himself on a "finance-based economy" that he jotted down in 2003 that seem prescient now. "Financial repression runs ... in a circular motion, it seems," he writes. "In 2003, though, central bankers had rarely contemplated the monetary policy instruments that could lower and then artificially cap interest rates." Eagerly anticipated by market watchers, Gross has continued writing his popular investment outlooks even after his high-profile departure from Pacific Investment Management Co. in September 2014 and joining Janus Capital to run a new unconstrained bond fund. This month's commentary focuses on the expansion of central banks' balance sheets to save the finance-based economy, creating distortions in the market that are hard for investors to see because of the lack of volatility. 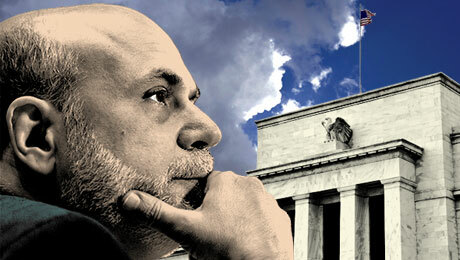 He warns that to keep markets placid, central banks may be locked into a cycle of quantitative easing. A client recently asked Gross, who got his start when interest rates were in the high teens, when central banks would be able sell their assets. The bond guru's answer: "NEVER" (All Caps are Gross's). Gross, who manages Janus's total return strategies as well as the unconstrained bond fund, says the $12 trillion now held by central banks is a permanent fixture of global finance, acting a bit like methadone. Methadone manages the craving, but does little to end the patient's addiction. He told his client that the 10-year Treasury is now at 2.45 percent because of QE-like measures at the European Central Bank and the Bank of Japan. Without it, the 10-year would be at 3.5 percent and the U.S. would be in recession, Gross ventures. In the end, the extraordinary monetary policy is keeping the wheels of the finance-based economy humming at the expense of real economic growth. "$600 billion in the U.S. for instance goes into the repurchase of company stock, whereas before, investment in the real economy might have been a more lucrative choice," writes Gross. "Financial Armageddon is postponed as consumption is brought forward and savings suppressed and deferred." That's not Gross's idea of happiness.